The two completely flat ends are its distinctive feature. 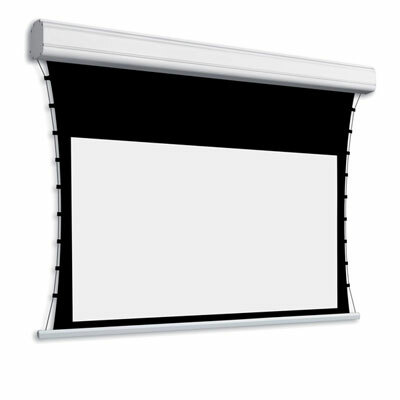 Professional is a versatile screen, ideal for flush-mounted installation in different types of technical recesses; the particular shape of its ends allows it to be placed right up against the wall for all-round use. As the name suggests, a design that elects it as the ideal product for the professional Audio Visual channel. 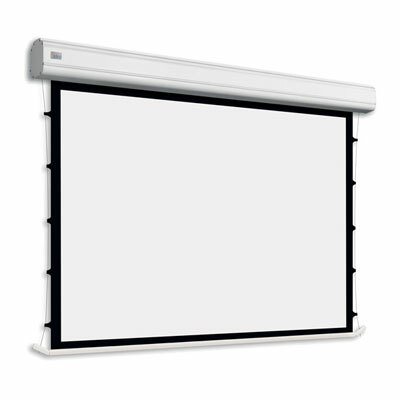 Easy to install, Professional also earns full marks for its aesthetics: the abutting base creates a seamless whole with the screen once it is closed, and prevents any dust from settling onto the projection surface when it is not in use.